Accra, June 11, GNA - James "Hot Ice" Toney is confident of becoming the first Ghanaian boxer to win a world title at the middleweight division when he clashes with South African Mpush Makembi in a World Boxing Council (WBC) International championship on Saturday July 3, at the Accra Sports Stadium. It will be the principal bout of a six-match contest, which includes the National and West Africa Super Bantamweight Championship between Ghanaians, Anyetei Laryea and Jonathan Yartey. Landmark Promotion and Management Syndicate, an offshoot of the famous Ringcraft Promotions are putting the fight together which will also feature Braimah Kamoko (Bukom Banku) in an international Light heavyweight contest against Nigerian Babatunde Alimi. 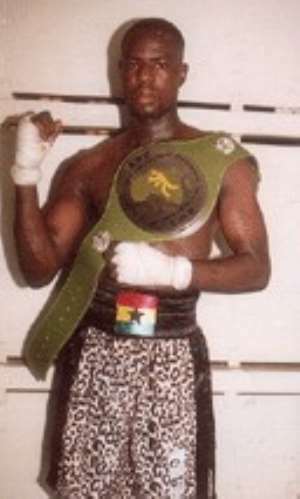 Ghana has produced some great world Champions including Azumah Nelson and Ike Quartey, mostly in divisions lower than the middleweight. Toney is hoping to improve on his record of 19-18-1 including 17 KO on the night dubbed a "Night of Redemption and Remembrance", to celebrate African Boxing Legends like Azumah Nelson who is being inducted into the World Boxing Hall of Fame on Saturday. The South African who has an impressive record of 29-23-6 is expected to arrive in the country on June 26 just seven days before the historic fight. A proposed press conference to officially launch the July 3 programme at the James Town's Mantse Agbona was cancelled last Tuesday and relocated to the Accra Sports Stadium on Friday because of threats of a possible clash between supporters of Laryea and Yartey. The referee for the main bout will come from Italy.